Several years ago I read a book by John Eldridge called, Wake the Dead. It was probably one of the most transformational books I have ever read. The key to its effect was a quote on the cover and repeated in the book itself. It was a quote by Saint Ireneas which stated that “the glory of God is man fully aware.” I could not get that quote out of my mind and soul. The essence of the words continued to revolve around inside me as I sought out what it meant to be “fully aware”. I can’t say that I know even now what it truly means to be “fully aware”, but I do know that the journey toward the zenith of that quote has brought me into contact to many ideas and concepts that I would have probably shunned before. 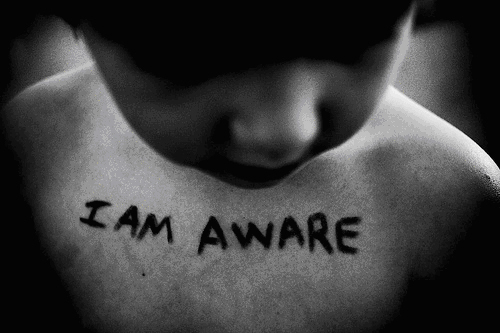 In many other religious practices the idea of awareness is central. Too often we live according to a mechanistic attitude based only on what has been done by and to us and correlated with what we desire to do or dread will be done in the future. I can only remember the past and hope for the future. Awareness can only be known in the current present I am living. To truly notice life as we pass through it is to glean wonder and awe from each moment, and in the gleaning really live. This entry was posted on March 24, 2008 at 7:59 pm and is filed under Awareness, Books I'm Reading. You can subscribe via RSS 2.0 feed to this post's comments. You can comment below, or link to this permanent URL from your own site.